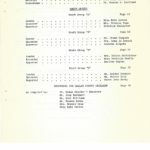 The 1963 Guidance Institute Report covers the 22nd annual meeting of youth leaders in Harlan County, Kentucky. The meetings were sponsored by Harlan County Board of Education, Harlan Independent Board of Education and the Lynch Independent Board of Education. 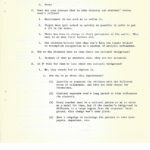 The following are images and transcriptions of the first 25 pages of the 1963 RURAL YOUTH GUIDANCE INSTITUTE REPORT (pp. 1-25). The PMSS Collections also contain material from several Youth Guidance Institutes held at the Pine Mountain Settlement School in the 1930s and 1940s. 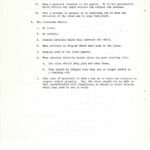 Images of those documents have been downloaded to this site and links to this material can be found here. GALLERY – 1963 RURAL YOUTH GUIDANCE INSTITUTE REPORT (pp. 1-25), including Cover & Introduction. 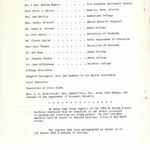 1963 Guidance Institute Report. “Our Youth: Needs and Resources.” Introduction. [Scan_intro_02.jpg]. 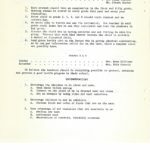 1963 Guidance Institute Report. “Our Youth: Needs and Resources.” Introduction. [Scan_intro_04.jpg]. 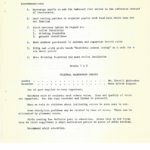 1963 Guidance Institute Report. “Our Youth: Needs and Resources.” Introduction. [Scan_intro_05.jpg]. 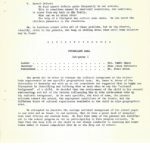 1963 Guidance Institute Report. “Our Youth: Needs and Resources.” Introduction. [Scan_intro_07.jpg]. 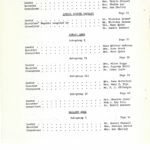 1963 Guidance Institute Report. “Our Youth: Needs and Resources.” Introduction. [Scan_intro_08.jpg]. 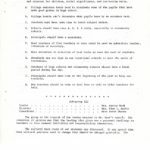 1963 Guidance Institute Report. “Our Youth: Needs and Resources,” p. 01. 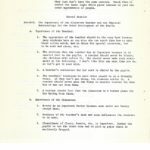 1963 Guidance Institute Report. “Our Youth: Needs and Resources,” p. 02. 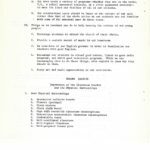 1963 Guidance Institute Report. “Our Youth: Needs and Resources,” p. 03. 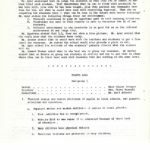 1963 Guidance Institute Report. “Our Youth: Needs and Resources,” p. 05. 1963 Guidance Institute Report. “Our Youth: Needs and Resources,” p. 06. 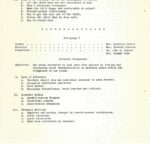 1963 Guidance Institute Report. “Our Youth: Needs and Resources,” p. 07. 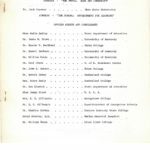 1963 Guidance Institute Report. “Our Youth: Needs and Resources,” p. 09. 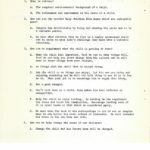 1963 Guidance Institute Report. “Our Youth: Needs and Resources,” p. 10. 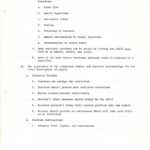 1963 Guidance Institute Report. “Our Youth: Needs and Resources,” p. 11. 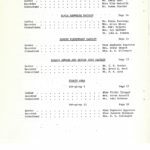 1963 Guidance Institute Report. “Our Youth: Needs and Resources,” p. 13. 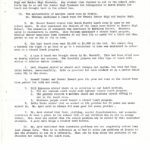 1963 Guidance Institute Report. “Our Youth: Needs and Resources,” p. 14. 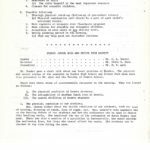 1963 Guidance Institute Report. “Our Youth: Needs and Resources,” p. 15. 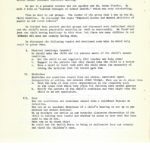 1963 Guidance Institute Report. “Our Youth: Needs and Resources,” p. 16. 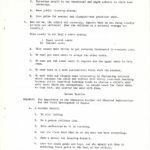 1963 Guidance Institute Report. “Our Youth: Needs and Resources,” p. 17. 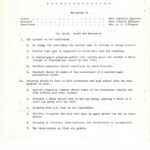 1963 Guidance Institute Report. “Our Youth: Needs and Resources,” p. 18. 1963 Guidance Institute Report. “Our Youth: Needs and Resources,” p. 19. 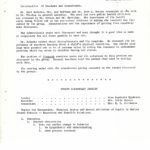 1963 Guidance Institute Report. “Our Youth: Needs and Resources,” p. 20. 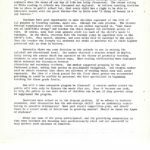 1963 Guidance Institute Report. “Our Youth: Needs and Resources,” p. 21. 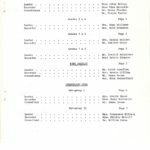 1963 Guidance Institute Report. “Our Youth: Needs and Resources,” p. 23. 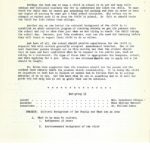 1963 Guidance Institute Report. “Our Youth: Needs and Resources,” p. 25. [Scan_cover.jpg] Cover page of report. Miss Jenny Flood . . . . . . . . . W. S. C. S.
Mrs. C.E. Westerfield, Mrs. Howard Cain, Mrs. Jenny Lind Skaggs, and members of the Department of Economic Security. 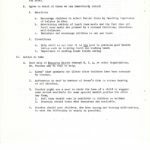 We trust that these reports of the 1963-64 Harlan County Guidance Institute will be beneficial to our school personnel in guiding and directing our young people. We feel that this material will be useful in faculty meetings, P.T.A.’s and Youth Groups. The reports have been mimeographed as turned in to the typist with a minimum of editing. 1. Each student should have an examination in the first and fifth grade. 2. Hearing should be tested in every grade this year and every year thereafter. 3. Every child in grade 2, 4, 6, and 8 should visit dentist and an optometrist. 4. We would like to borrow and use the audiometer. One teacher in each grade could learn how to use this instrument and test the students in her grade. 5. Discuss the child who is having seizures and not fitting in with his group. Discuss this with Miss Carter…. 6. Send green health card to the Doctor who is giving physical examination, as he can put information called for on the card, which a teacher could not possibly know. We believe the teachers should do everything possible to protect, maintain and provide a good health program in their school. 1. Encourage the children to be clean and neat. C. Set an example by being clean and neat ourselves. 1. Encourage pupils to eat the balanced diet served in the cafeteria instead of restaurants. Use of good English is very important. Teachers need to evaluate each others’ voice. Tone and quality of voice are important. Use the tape recorder and listen to yourself. When we talked to children about irritating voice be sure ours is not. Some discipline problems may be created by tone of voice. These can be eliminated by pleasant voice. Bible reading has definite part in education. Since this is not being done we could supplement a short meditation period in place of Bible reading. We met on September 19, 1963, in the Harlan Baptist Church for our twenty-second annual Guidance Institute meeting. We met in a general session and our speaker was Dr. Doane Fischer. He made a talk on “Current Concepts of School Health,” which was very interesting. We divided into several smaller groups and discussed some individual child and the child’s needs physically, mentally, as well as emotionally. We found not just one child having handicaps in this area, but there are many children in our schools all over our country having them. We discussed the following topics and mentioned some ways in which help could be given them. I. Physical handicaps (anemic). We should make the child and its parents aware of the child’s anemic condition. c. Have a heart to heart talk with the child about the necessity of taking the medicine that the doctor gave him. b. Notify the parents of the child’s condition and they might take the child to an eye specialist. Bad ear conditions are sometimes caused from a childhood disease or infection. How can we as teachers determine if a child’s hearing is not up to par without our modern devices? We as teachers can notice in our everyday classroom observation if the child is talking very loudly and whether he seems to hear what has been said to him or not. We could ask the Health Nurse to bring an audiometer into our schools and check the children’s ears. Teeth are used for grinding our food that is needed by our bodies. They should be taught the proper way to brush their teeth. If they can’t afford to buy tooth paste, they could use common table salt or baking soda which is a very good cleanser for them. We should convince them the necessity of visiting a dentist at least twice a year. We find speech defects quite frequently in our schools. This is sometimes caused by emotional conditions, and sometimes it stems from way back in the family. What can we do about this? The help of a therapist may correct some cases. We can teach the children phonetics in the classroom. We, as teachers cannot solve all of these problems, but we can observe, identify, refer to the parents, and keep on talking about them until some solution may be found. Our group met in order to discuss the cultural background of the student body represented by our specific geographical area. Mr. James W. Brown of the Univeristy of Kentucky met with us as our consultant and suggested that we begin our discussion by identifying and defining what we mean when we say the “cultural background” of a child. We decided that the environment of the child in his natural surroundings and all of the factors influencing him in this environment make up his cultural background. To be more specific, the kind of home, the parents’ attitude toward the school, the employment conditions of the locale, and the different kinds of cultural experiences available to the child in this geographical area. We attempted to describe the average cultural background of the school pupil in our area and we found, in our opinion, that we have a great deal of unemployment that affects our student body. We feel that many of the parents are indifferent to the school program as far as participating in this program actively. We feel that the home life of the child is not always conducive to learning and sometimes makes it almost compulsive that he or she drop out of school. After describing and defining cultural background, we discussed and then suggested ways in which we could improve the cultural background of the school child. (1) keep the child in school (2) Include social development in our educational process (3) An adult education is desirable (4) Establish a better relationship between the teacher and the parent. (5) When possible, provide experiences for students at school to introduce them to certain socially accepted patterns of action and behavior. Perhaps the best way to keep a child in school is to get and keep well-trained and dedicated teachers who try to understand and teach the child. We must teach the child that he cannot get something for nothing and that in order to have any degree of success he must get a high school education, his values can be changed or molded only if we keep the child in school. We felt we should train the child for life rather than college. Another way we can better the cultural background of the child is to establish an adult education program of training whereby we get the parents into the school and try to show them just what we are trying to teach the child during the school day. Parents, just like students, must see the need for learning before they will learn or expect their child to do so either. And last of all, the school should provide experiences for the child to acquaint him with certain generally accepted standards of behavior. One of the most important points brought out in this meeting was that the student should feel at ease and have confidence when he is exposed to the public eye, such as eating in a restaurant, the type of dress that is appropriate for banquets, school, and when applying for a job. Also, it was stressed that the way to apply for a job should be taught. Dr. Brown also suggested that the teachers should let the parent and the student know exactly where the student stands academically. It is doing the child an injustice to lead him to believe or permit him to believe that he is college material if he is not. Let him know that he can do something and do it well but guide him and help him to set up goals that can be attained. B. What goes to make up the tastes of our students? C. What are some reasons that in this vicinity our students’ tastes aren’t refined? 1. Environment is not such as to refine it. 2. People have quit school as quickly as possible in order to get a job in the mines. 3. There has been no charge in their perception of the world. They want to do what their fathers did. 4. The children believe that they don’t have the innate ability to accomplish recognition as a student of artistic refinement. D. Why do the students want to lose their own cultural background? 1. Because if they go anywhere else, they are not accepted. E. Is it wise for them to lose their own cultural background? 1. No, they should try to improve it. a. How may we go about this improvement? (1) Identify or acquaint the children with the different areas of refinement, and then let them choose for themselves. (2) Constant exposure over a long period of time influences the students. (3) Every teacher must be a cultural person so as to serve as a model for them, but if the teacher’s background is different to a large degree from the students’ background, this change won’t take place. (4) Have a campaign to encourage the parents to take newspapers, magazines, etc. (5) Take advantage of adult education classes by teaching the parents to enjoy the more refined tastes. (7) Teach the dignity of the people who are here. The people are the same (If not somewhat better at heart); they just don’t have the same varnish. Teach them to admire the inner light which glows instead of just the outer appearances of people. 1. The appearance of the teacher should be the very best because many students have no one else who can teach then how to make their colors match, how to dress for special occasions, how to be neat and clean, etc. 2. The attitude that the teacher has is important because it is carried over to the pupils. A teacher should never be bitter; the children will notice it. She should never make such statements as the following: I don’t like this any more than you do, so let’s get it over with. 3. A teacher’s enthusiasm for her work is shared by the pupils. 4. The teachers’ relations to each other should be on a friendly basis. If they don’t get along, the students notice it. A teacher should never pass the blame to another teacher for what has or has not been done. 1. Beauty is an important factor because some never see beauty except here. 2. Neatness of the teacher’s desk and room influences the students to be neat. 3. Cleanliness of floors, boards, etc., is important. Remind the pupils to use the trash cans and to pick up paper which is accidently dropped. 2. Be certain not to confuse students with the pronunciation and enunciation of our English language. Our speech accent is noticeable and should be something to be proud of rather than hidden with a false accent. III. Impress on the students that they are from Kentucky, that they are from Harlan County, and that they are from the Cumberland Area, and that they should be proud of these facts. A. Our area needs a variety of programs — whether they are on the radio, T.V., a school sponsored activity, or a civic sponsored activity — to meet the likes and dislikes of all of our citizens. B. Our standardized tests should be based on the culture of our area rather than that of the whole nation as our students are not familiar with some of the material used in these tests. l. Encourage students to attend the church of their choice. 3. Be conscious of our English grammar in order to familiarize our student with good English. 4. Encourage our students to attend good movies, listen to good radio programs, and watch good television programs. While we are encouraging them to do these things, also explain to them why they should do them. 5. Place art and music appreciation in our curriculum. A. The complete environmental background of a child. B. The refinement and enrichment of the taste of a child. 2. How can you the teacher help children from homes which are culturally poor? A. Inspire him artificially by being and showing the child how to be a cultured person. B. We must show children that we live in a highly mechanized world and in order to meet life’s challenge they must have a cultured education. 3. How can we supplement what the child is getting at home? B. Do things with the child that he enjoys doing. C. Ask the child to do things you enjoy. Let him see you doing and enjoying something and he will try this thing to see if it is fun to do. Then your job is to encourage him to enjoy this thing. D. Set a good example. E. Don’t talk down to a child. This makes him feel inferior or unimportant. F. Help the child to enjoy reading. By reading he can supplement his ideas and build his imagination. Encourage reading even if it is comic books or that which is considered spicy. G. We must make him look at his surroundings to try to see or imagine ways he can better his room, school or community. He will transfer his ideas to his own home and life. 4. How can we help change the homes of our children? A. Change the child and his future home will be changed. B. Help the child and he will help the parents. A child can do more to change his parents than school or community. C. Encourage people to use vocational and night schools to their best advantage. D. Have public clean-up drives. E. Give prize for neatest and cleanest — not prettiest yard. This county is (or has) a caste system. A. This county must strive to get everyone interested in everyone else. C. We must get the lower caste to improve and the upper caste to help them. D. we must work on a more personalized basis with the student. 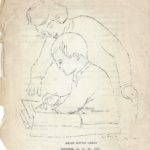 E. We must make our classes more interesting by discussing subjects which interest the child and refrain from strict text-book teaching because strict text-book learning tends to clutter a child’s mind with facts which are unimportant. We should teach the child where to find fact, not clutter his mind with them. 2. Be a person children like. 3. Have enthusiasm as it is catching. 4. Let the class know that he or she does not know everything. 5. Show a desire for learning herself. 6. Give her class goals and hope, and she should aid them in achieving these goals to the best of her ability. 7. Be a leader. Be careful as a leader to set a good example and show good habits. 8. Be friendly, but not familiar with her class. Don’t invite the class home with her each evening. 11. Show a personal interest in her pupils. It is her personality which affects the pupil besides the subject she teaches. 12. Make a mistake on purpose or do something odd to draw the attention of the class and to keep them alert. 3. Contain articles which will interest the child. 4. Have articles on display which were made by the class. 5. Display some of the class papers. 6. Have colorful bulletin boards which are good teaching aids. a. The class should help plan and make these. b. They should be changed when they are no longer useful as a teaching aid. 7. Take care of materials in such a way as to teach the students to respect school property. But, the class should not be made to feel uncomfortable with cleanliness or afraid to touch object which they need to use in study. Introduction of Teachers and Consultants. Mr. Earl Roberts, Mrs. Roy Huffman and Dr. John A. Dotson commented on the talk by Dr. Fischer in general assembly. The need for more public health officials was stressed by Dr. Dotson and Mr. Everidge. The importance of the health cards being filled out on the pre-school children in aiding the teachers was discussed by the group. Immunizations and the importance of getting them regularly were discussed. The tuberculosis tests were discussed and most thought it a good idea to make it compulsory for all first graders to have one. Mr. Roberts talked about Histoplasmosis and its symptoms. He stressed the importance of teachers knowing about a child’s physical condition. Eye checks each year were pointed out to be of extreme value in aiding the teachers to understand problems which may arise in children having bad vision. The problem of frequent restroom users and the solutions to this problem was discussed by the group. Several teachers told the method they used in dealing with this. The meeting ended with the consultants giving comments on the issues discussed by the groups. Topies for discussion: Physical Status and Mental Abilities of Pupils in Harlan County Schools — Resources and Possible Solutions. 3) notice any conditions which might cause abnormal behavior in a child. 4. Classes for educable children. (a) Physical examination card should be a part of each child’s permanent record. 3. More classes for educable and trainable children. 4. Acceptance of each child at his ability level. 5. Having planning period in the morning. Mr. Dozier gave a short talk about our local problems at Evarts. The physical and mental status of the students in Evarts High School and Clover Fork area were also presented to Mr. Ayer and the Faculty of Evarts School. I. The physical condition of Evarts students. II. The advisability of another lunch room at Evarts. III. The mental abilities of Evarts students. I. The physical condition of our students. Mrs. Lawson talked about the health condition of our students, such as: loss of hearing, decaying of teeth, loss of sight, etc. Mrs. Lawson’s main emphasis was on the hearing defect of our students and how the audiometer can be used to detect this handicap early. She mentioned the use of the audiometer at North Evarts last year. There was also a mention of a specialist in Barbourville, who would provide the audiometer free, for those who cannot afford the tests. The students can be checked at any time during the year. Mrs. Carter talked about the use of the eye charts by teachers to detect students with bad eyesight. Mr. Dozier elaborated on the work done by the Evarts Lions Club to help needy students and to buy glasses for students that cannot afford to buy them. The Evarts Lion’s Club has already purchased three pairs of glasses this year. Mr. Dozier stated that the role of the teacher is very important in detecting physical handicaps of each individual student so they can be referred to a doctor for further examinations and tests. Earl Rogers stated that physical defects are minor — that special education may solve the problems. Mr. Dozier stated that North Evarts extends their facilities to both Evarts Junior High and Senior High Students. Any student that desires to eat in the school cafeteria may do so and the Junior High Students are transported to North Evarts for lunch and brought back on the school bus. II. The advisability of another lunch room, at Evarts. Mr. Whitman mentioned a lunch room for Evarts Junior High and Senior High. 2. Mr. Denver Howard stated that North Evarts’ lunch room is open to our school again. He also mentioned the failure of the lunch room before at Evarts High School. The education of community was mentioned by Kathleen Carter. Students cater to restaurants in Evarts. Dale Whitman mentioned a closed lunch program. Charles Hunter mentioned that students do not have 25c to spend for a lunch and they prefer to eat on 10c or 15c in town. 3. The last lunch room went $3,000 to $4,000 in the red. You cannot deny a student the right to go home or go to a restaurant in town was mentioned in reference to a closed lunch program. 4. A type B lunch was brought about by Mr. Woodall. This had been tried once at Evarts without any success. The football players eat this type of lunch with advice of Charles Hunter (coach). 5. Gail Simpson stated we should sell oranges and apples, but this had been tried before, unsuccessfully. Milk is provided for each student at 3c a carton which costs 10c in the store. 6. Howard Turner and Denver Howard gave the pros and cons on the closed hole room period for milk and candy. 7. Bill Epperson stated there is no solution to our lunch problem. 1. Not all circuit court would rule against closed lunch program. 2. The parents receive a welfare check and students cannot afford to eat in the lunch room. 3. Business people would resent a closed lunch program. 8. Bobby Moore stated that we worked on the problem for 25 years and never solved it. Mr. Ayer said we always did some good for every problem. 9. Mr. Ayer stated that food, clothing, social discrimination and economic condition do have a place in the school life of our children who do try to attend school. Mrs. Anna Lee stated that the school problem may be solved by well-nourished students. A good meal helps a student work better. 10. Mr. Ayer mentioned that sometimes problems are not completely solved that just change form. This is in reference as to how to solve our problems at Evarts to get the students to eat in a cafeteria. What can be done about the problems of our students not eating in the lunch room? 1. Physical conditions do play an important part in each learning situation. 2. Vocabulary not used in this country is used to determine the IQ of our students. 3. Cultural environment in the mountains is as good for us as the cultural environment in any large city. Mr. Epperson stated that I.Q. does not show a true picture. Mr. Ayer stated that the tests show what the students know today. Mr. Dozier stated that he would work with the teachers and students to get a free lunch for everyone. He stated the school would also provide a place to eat. Mr. Ayer stated the attitude of the students’ parents directs what the student will do. Mr. Howard Turner asked what is the best way to group our students. Mr. Dozier stated that at Evarts we group our students on ability and try to get them in class where they can do their best work with students that are working on the same level. I. Physical status and mental abilities of pupils in local schools, and possible solutions and resources. A. Physical status and mental abilities of pupils in local schools. 1. Poor nutrition due to unemployment. 2. Parents fail to see value of an education because of their lack of education. 3, Many children have physical defects. 4. Emotional problems are prevalent in many children. Many emotional problems can be solved by letting the child know that he is wanted, needed, and loved. A. To change the curriculum the teacher must be willing to change herself. B. Teacher load must be lightened to allow more time for teaching. C. A teacher-pupil planning period each morning gives the teacher a daily insight of frustrations caused by home life. II. Grouping should be done in both elementary and high school with the same purpose in mind. A. Special education classes should start in the elementary schools and high schools need more classes. B. Socially a child should stay in his age group, placing a child in a lower age group does not help. C. Grouping with I.Q. test is not dependable. D. Children recognize how much they know in upper grades but not in lower grades. E. Grouping by interest, slow-learners, and accelerated is recommended. F. Use block system in first six grades. G. In “Blue Bird” groups, etc., the slow learners are soon discovered by the other children. H. Put children where they can excel in at least one thing. They have to win sometimes. Beating children down with failures may cause them to become dropouts. III. A curriculum that develops competence for living today, that has meaning and interest for children, social significance, and curriculum value. A. College entrance tests tend to eliminate some of the pupils that have made good grades in high school. B. College boards can’t determine what pupils know by an entrance test. C. Teachers must have more time to teach subject matter. D. Schools should have more A. S. I. S. units, especially in elementary schools. E. Principals should have a secretary. F. Head teachers of five teachers or more could be used as substitute teacher, librarian or secretary. G. More attention in selection of text books to meet the need of students. H. Standards are too high in our vocational schools to meet the needs of trainables. I. Teachers of high schools and elementary schools should have a break period during the day. J. Principals should have time at the beginning of the year to help new teachers. K. New teachers should be made to feel free to call on older teachers for help. The group at the request of the leader reacted to Mr. Ayer’s speech. The consensus of opinion was that the leading idea given was a personal challenge to teachers to face renewal dedication and responsibility themselves. Teachers have good opportunity to make children cognizant of the life of all peoples by blending customs, music, etc. through the core process. The student through acquaintance with customs learns as one member expressed it, “that there are no fallible wrongs” and teaches the child respect for different points of view. Of course, some felt some parents shift too much of the child’s needs to teachers. On the whole, everyone felt the teacher plays an important role in the child’s life. Thus, speech, manners and even walks will be imitated by the child. Thus, the teacher who accepts all students and seeks to motivate all to their highest potential will go down in history. Naturally, there was some division on the methods to use in raising the cultural and educational level. One member observed a mission school in Naples, Italy, during the summer which was operated on the theory of gradually teaching students to care and respect better ways. Then reading difficulties were discussed which animated the discussion between elementary and secondary teachers. One member suggested grouping by the old-fashioned primer, making four grades as preliminary background. One veteran member said we should remember that there are plateaus of reading which some will never supersede. The idea of a block period for the first three grades was recommended providing it could be staffed by personnel who have specialized in beginning teaching for these grade levels. Questions were raised as to the dropout problem. If we adhere to academic standards, what alternative has the sub-average child? Are we indirectly contributing to juvenile delinquency? What part should competition play, and should there be a closer study of deviations in granting awards? Should we issue two types of diplomas? Ninety per cent of the group participated and the gratifying observation is that many teachers are becoming more professionally alert and are concerned to help produce good citizens of tomorrow. F. Take the child where he is. II. What we as teachers can do for development of child. A. Let the child know you are interested in him. B. Have a wholesome atmosphere. C. Make the child happy and comfortable at school. E. Try to get the most out of the child. F. Praise the child when he does well. G. Use of visual aids. Objective: Our group attempted to look into this subject by listing and discussing those characteristics or problems which affect the background of our youth. A. Teachers should show an individual interest in each student. D. Encourage friendliness, avoid sarcasm and ridicule. A. Explored and perhaps changed by teacher-parent conferences. D. More home visitation by teachers. A. Familiarize ourselves with laws concerning health that are set up by the state. B. Agree on which of these we can immediately attack. a. Encourage children to select better diets by teaching importance of balance in diet. b. Advertising variety of lunch room meals and the fact that all lunch room meals are planned by a trained dietitian; therefore, well-balanced. c. Introduce and encourage children to eat new foods. a. Help child to see that it is his goal to practice good health habits, such as brushing teeth and washing hands. b. Importance of washing hands before eating. A. Seek help of Resource People through P. T. A. or other organization. Dr. Fischer may be able to help. 1. Lions’ Club sponsors eye clinic after children have been screened by teacher. 2. Audiometer is used by members of Women’s Club to screen hearing of all children. (1.) Full time dental care is available to children on welfare. (2.) Teachers should learn what resources are available. 4. Teacher should seat children, who have seeing and hearing difficulties, to meet the difficulty as nearly as possible.